We carried many products such as bandana, head wrap, beanies, cap, baseball cap, bucket hat, trooper hat, and hair brushes. Shopping on ihomewholesale.com, you could save up to 75% off for the retail price. We process and ship out order to you within just 1 to 3 business days. You will find that we have large selections on bandanas. Our current best selling products, plain and paisley bandanas are mostly used by our customer for both indoor and outdoor events. The paisley bandana and plain bandana are also available in different size for your needs. You will definitely be able to enjoy more flexibility on choosing their needs on our products. We also provide Screen printing, our high quality solid color bandanas are best choices for that. Please contact us if you need custom printing on the bandana. We have oversea printing factory supports. Both Small and large customer printing orders are welcome. We also have huge selection of paisley head wraps, skull cap, camouflage head wraps, flag head wraps, and many other styles of head wraps. 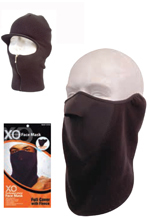 Our Head wrap (100% cotton do rag) are the most popular skull cap. 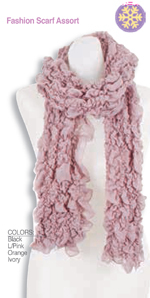 They are stylish for covering hair in any events. They can just simply be an additional layer of protection to hair under the helmet. 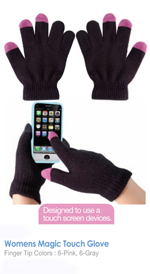 Or, just to be used to cover messy hair in a bad day. At Ihomewholesale.com, we also sell many different caps or hats. Plain baseball caps or bucket hat for embroider. 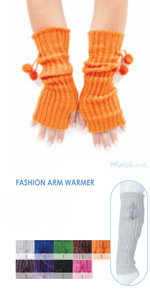 You will also find lots of selection in our winter products. 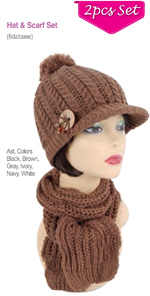 Our fashion headband, beret, kufi, ivy are very beautiful and stylish choices for winter. Our high quality beanie caps will keep your head warm in the winter. For extremely cold weather, you may want to choose our water proof, wool knitted trooper hats, ear flap hats to keep your head nice and warm. We also have recently added gloves, scares, arm and leg warmer, fuzzy shoes to our winter product to make sure you have all what they need for the winter. Please also check out we newly added beauty products for your needs. There are many selections for the beauty products such as many different style hair brushes, hair rollers, hair pins, and nail care accessories.